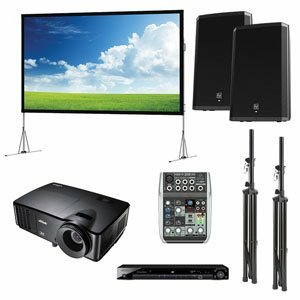 Power Audio Visual can provide a large choice of projector hire solutions for virtually every scenario. We pride ourselves on being the friendliest and easiest, mid-sized AV supplier in Perth. 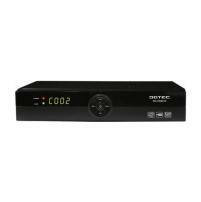 We pride ourselves on being the friendliest and easiest, mid-sized AV supplier in Perth. 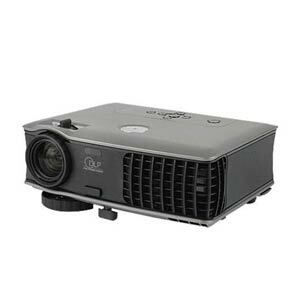 When you scroll down, you'll see our current range of projector rental options. 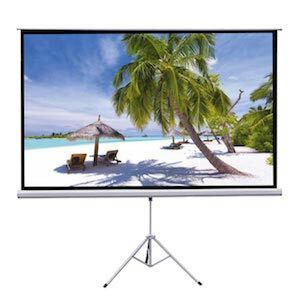 You will also find our range of Projector Screens, LCD LED TV's along with other visual hire items. 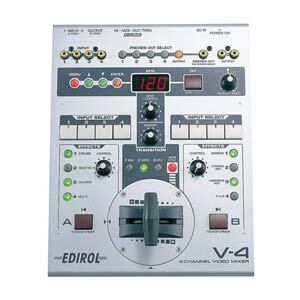 Here you’ll find all you could ever possibly need when it comes to renting DJ Gear. 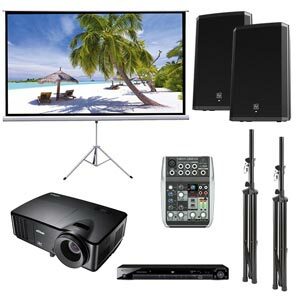 As with all of our other Audiovisual and Lighting rental products, you’ll find renting DJ Equipment from Power Audio Visual to be simple, stress-free, and cost-effective. How many people will be watching the visual presentation? What are dimensions of the area you need to present to? 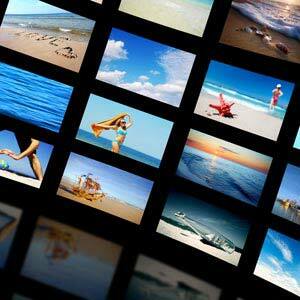 Is it data, images or video that you intend to deliver? The more information you can give us, the better opportunity we’ll have to provide you with the most effective and appropriate item for your needs. Yeah, yeah, got it... Send me to the Projectors! This package is perfect for presentations. 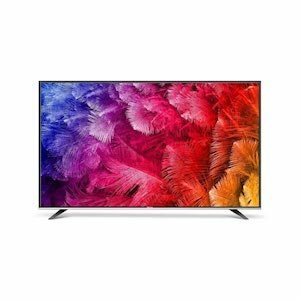 Your choice of 6ft or 8ft screen. 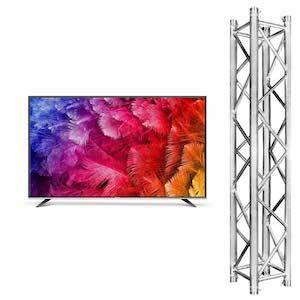 50" LED/LCD TV with appropriate aluminium truss stand and base plate. 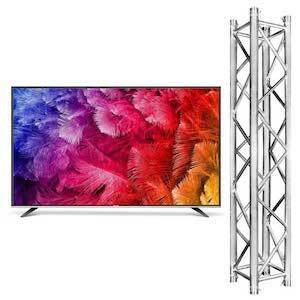 65" LED/LCD TV with appropriate aluminium truss stand and base plate. 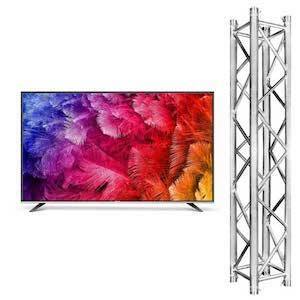 75" LED/LCD TV with appropriate aluminium truss stand and base plate. 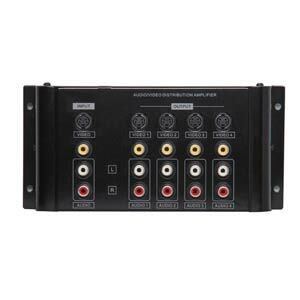 Thinking of having a family movie night and want a 'home cinema experience'? By now, you have found out that there are many Perth AV Hire Companies offering data projector hire. And, it's likely you have come across a wide range of pricing - some even offering to beat or price match quotes. 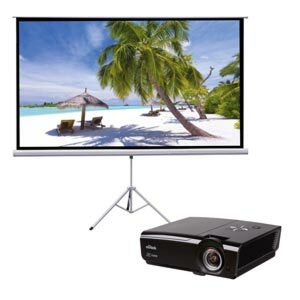 While the cost to rent a projector is an important factor, we also invite you to consider what else you are getting for your money. 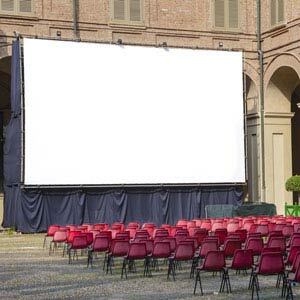 For almost three decades, our family owned company has been providing audio visual solutions, including video projectors and screens for many types of events - large and small.. In a highly competitive field, we remain in business because of our attention to the little things. 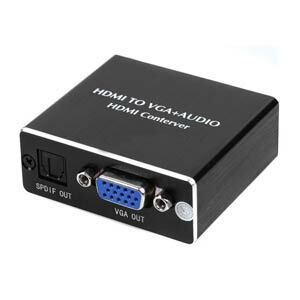 From providing the right cables, remote controls with fully charged batteries, all the way to showing you how to set up screens correctly; we promise that when you rent a projector or any other visual item from us, your presentation will impress. Additionally, even if you have done this before, or if you are a complete novice, our team is on hand available at short notice to assist with the technical side, while you get on with delivering your event. 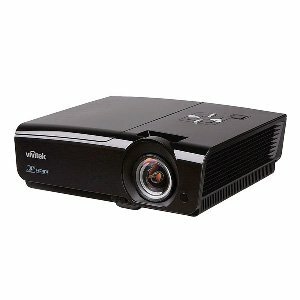 If you like, we'll show you how to set up and operate the projector and any other hardware at our warehouse. In addition to our rapid, no fuss delivery service, we can show you how to operate onsite or even look after the operation for you. 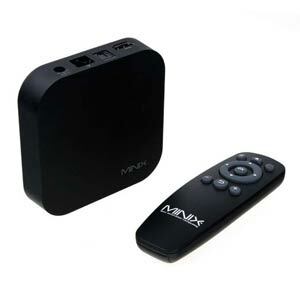 Besides all the technical knowhow and assistance, we've said before and we'll mention it again. 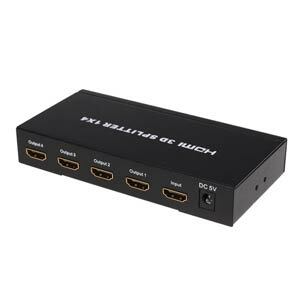 The biggest difference between us and the others in the industry is: we are the friendliest, easiest bunch of AV guys to work with in Perth. Who would you rather deal with? The cheapest? Or those with a 'can do', easy going manner PLUS competitive rates? 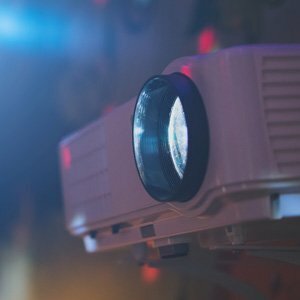 Check out our projector rental options below. If you don't find something you need - simply call us on 93856996 to chat about your event! 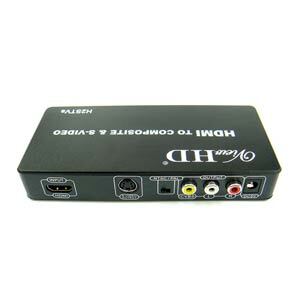 Similar to the cinema pack one, this package is suitable for bigger events. 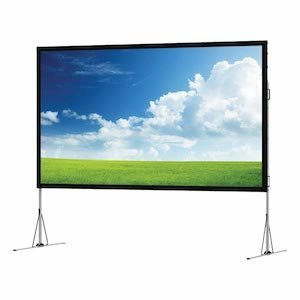 Looking For A Projector Screen? 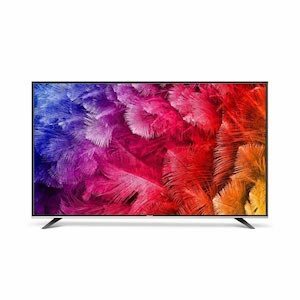 Perhaps You Need Some TV's? 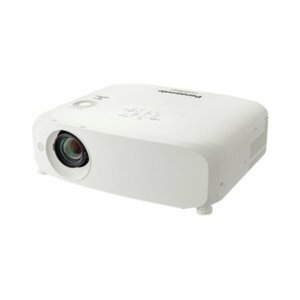 Hunting Around For A Projector? 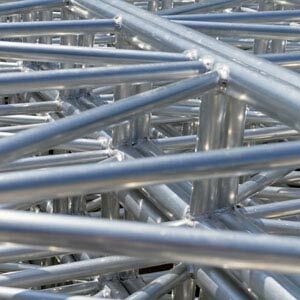 Want Some Truss Or Staging? Ok, so you need a big TV for an upcoming event - perhaps even a large screen for the Melbourne Cup? 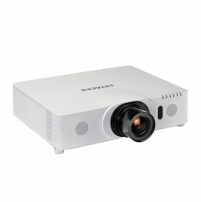 How about a projector, with a short or long throw lense? 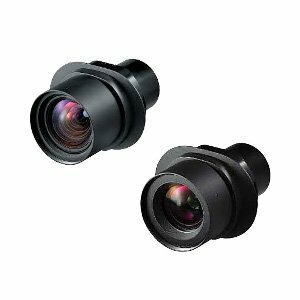 Below you'll find our range of visual hire equipment that'll be perfect for your needs!